US niche airline and travel company Allegiant capped off CY2014 by taking a USD43 million write down on its fleet of six Boeing 757s, which created additional noise in its results that were also affected by training expense that created cost headwinds throughout most of CY2014. Despite those challenges, Allegiant recorded strong top-line revenue growth in 4Q2014 and CY2014 as unit costs were pressured by training expense during the year. But at the same time the company is keeping an eye toward shareholder returns by deciding to issue a recurring dividend for each quarter in CY2015, and still retains roughly USD86 million in share repurchase authority. After facing continuing cost headwinds in 1Q2015, Allegiant’s cost pressure should ease throughout the remainder of the year as it seems to be focussed on domestic expansion for the foreseeable future. The 757 write down was one the factors that drove Allegiant’s 4Q2014 net income down 72.6% year-on-year to USD4.8 million. 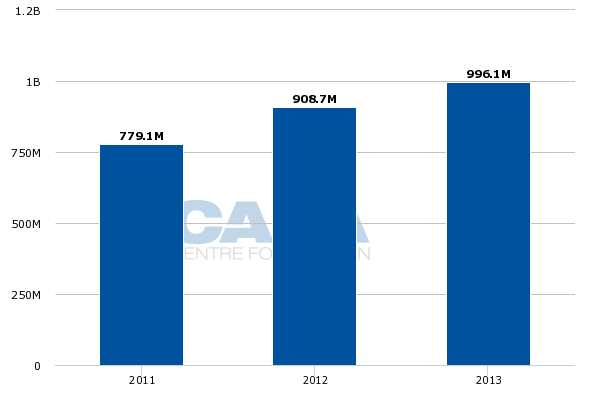 The company’s profits decreased 6.1% for CY2014 to USD86.7 million. Allegiant’s operating revenues for 4Q2014 grew 17% to USD279 million and 14% for CY2014 to USD1.1 billion. The 14% growth was an improvement over the 9.6% rise Allegiant recorded year-on-year in CY2013, but not as strong as the year-on-year growth in CY2011 and CY2012. Top line expenses for Allegiant jumped 26.9% in 4Q2014 to USD264 million. Other issues that drove Allegiant’s operating expenses higher in 4Q2014 include increased flight simulator time to meet 1Q2015 staffing requirements. For CY2014 Allegiant posted a 16.4% increase in operating expenses to USD979 million. The increase for 2014 is more than the 8.4% rise Allegiant recorded in CY2013 and the 11.9% rise for CY2012, but less than the 24% growth recorded year-on-year in CY2011. Allegiant acquired the Boeing 757s with ambitious plans to replicate its low frequency, low fare leisure model to routes from the US west to Hawaii. But after numerous route launches and subsequent market closures, Allegiant operates 757s from Los Angeles and Las Vegas to Honolulu, and some of the aircraft on longer domestic routes. At the time Allegiant outlined the write-down in late 2014 the company stated that based on its review of changes to fleet residual values in the market for used aircraft, spare engine and parts and potential changes to its network, the future cash flows for the six jets did not support net book values on its balance sheet. Allegiant remarked that would hold the aircraft for a period shorter than their expected useful lives, which was seven years. Allegiant estimated that residual values for 757s would fall from USD6 million to USD3 million. But also stated it would continue to operate the aircraft on longer haul routes for the near term. During a recent discussion with analysts and investors Allegiant CEO Maurice Gallagher stated that the company planned to remain in Hawaii for the foreseeable future. But explained the company impaired the fleet “based on the most likely outcome which was the retirement of each of those aircraft at their scheduled S4C check, that’s the biggest C-check cycle for that airplane”. Allegiant has estimated that one aircraft is due for a C-check in 2015, three near the end of 2016 and two near the end of 2017. 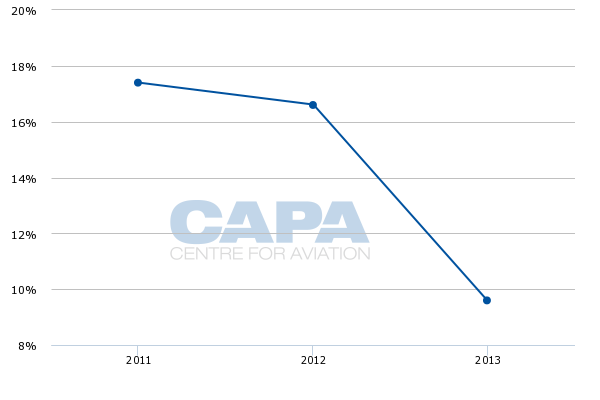 During most of CY2014 Allegiant battled significant cost pressure from pilot training expense triggered by the US government shut down in 2013 that resulted in a lull in resources at the US FAA to support pilot training. Previously, Allegiant has estimated that it is training a similar number of employees in a single year that it normally trains in two-and-a-half years. Allegiant’s fuel costs excluding fuel increased 42% year-on-year in CY2014, factoring the 757 write down expense, a USD7.3 million in accelerated compensation expense to former president Andrew Levy and training expenses, its unit cost growth during the quarter was 8.9%. 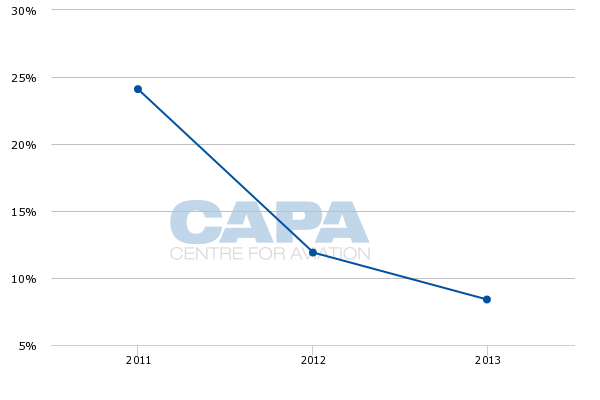 For CY2014 Allegiant’s unit costs growth excluding fuel was 18%, which included USD25 million in incremental expense from the training delays, the payout to Mr Levy and the 757 write down. Absent those expenses, Allegiant’s CY2014 unit costs excluding fuel grew 2.9%. Previously Allegiant has stated that the challenges it has encountered in pilot training should largely be resolved by mid-2015, and its guidance largely reflects that assumption. It is projecting unit costs growth excluding fuel of 6% to 8% for 1Q2015 and flat to a 4% decline for CY2015 excluding fuel and the 757 write down. 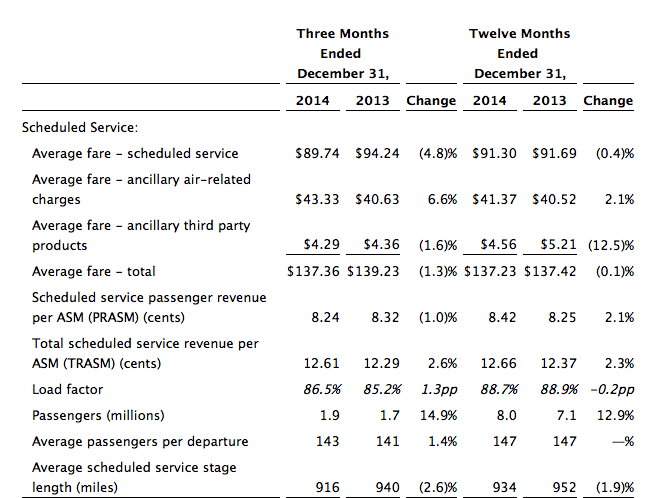 Allegiant’s scheduled passenger unit revenues fell 1% during 4Q2014 and grew 2.1% for CY2014. 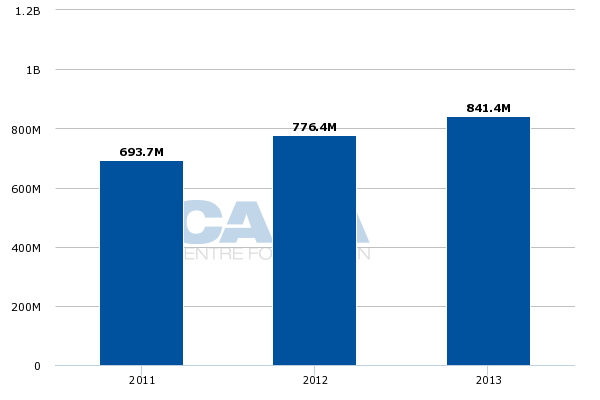 Its total passenger unit revenues, which includes ancillary air product sales and sales of third party travel products increased 2.6% in 4Q2014 and 2.3% in CY2014. The company recorded a 6.6% rise in its average charges for ancillary air related products during 4Q2014 and 2.1% increase for CY2014. Allegiant declared that its average fares from ancillary air related products for the last quarter of 2014 and the full year were the highest in its history. For Jan-2015 Allegiant projects that its passenger unit revenues will fall between 4.5% and 6.5% and drop from 5% to 7% for 1Q2015. Allegiant estimates total unit revenue growth of 1.5% and 3.5% in Jan-2015 and flat growth to a 2% drop in 1Q2015. Queried about the projected drop-off in passenger unit revenues, Mr Gallagher remarked that “maybe we should just stop guiding PRASM at all”, and concluded that total passenger unit revenue trends were more important to monitor. He did note that 1Q2015 unit revenues are affected by the year-on-year increase in security taxes on US airline tickets from USD2.50 to USD5.60 for each flight segment. Allegiant targets cost conscious leisure travellers, and the airline during 4Q2014 recorded a 4.8% drop in its average fare for scheduled service and a 0.4% decline for CY2014. Allegiant has also increased a convenience fee per segment from USD10 to USD13, which Mr Gallagher stated would be total passenger unit revenue neutral but “take down PRASM and increase ancillary”. In its push to focus total passenger unit revenue, Mr Gallagher stated that he concluded flat total unit revenue growth was positive, considering some of the moving parts Allegiant was facing during the first three months of CY2015. Allegiant is projecting 17% ASM growth year-on-year during 1Q2015 and 9% to 13% for CY2015. A lot of the growth is from new cities. During 2015 Allegiant is continuing to add service from more medium sized markets with the addition of Pittsburgh, Indianapolis, Jacksonville and Richmond. It is also adding flights to Omaha. Company executives also pointed out that Allegiant is increasing aircraft utilisation through a number of measures including extending operations in seasonal markets and extending flying weeks in markets that can handle an increase in frequency. Allegiant made a big push from Cincinnati in 2014, and schedules from CAPA and OAG for the week of 2-Feb-2015 to 8-Feb-2015 show that it operates flights from Cincinnati to Las Vegas, Orlando Sanford, St Petersburg-Clearwater, Punta Gorda, New Orleans, Fort Lauderdale and Phoenix Mesa. As one of the larger medium sized markets and a hub that has seen a significant pull-down from Delta, Cincinnati could be a market where Allegiant could add frequencies. The airline has frequently stated that Cincinnati has been one of its historically faster growing markets. Allegiant’s one time aspirations to serve Mexico seem to be dimming as the airline at one point aimed to launch flights to the country in CY2014. But Mr Gallagher concluded that “the low hanging fruit is certainly domestic”, noting that adding US domestic flights was simpler from an operational standpoint. “We don’t believe we’re losing anything in the south of the border type markets or the Caribbean at this point in time,” he stated. The company is not committing to a specific timeframe for international expansion. After encountering unique unit costs headwinds in CY2014, Allegiant should start to see a more normalised cost performance in CY2015, which is a welcome sign for investors. But the airline has remained profitable throughout the cost pressure, and ensured that its shareholders are seeing some gains from their investments. Through its push into more medium sized markets, Allegiant may find itself encountering a bit more competitive overlap than it has faced in the past. Its staying power in those markets could reveal much about the staying power of its business model, which has so far been fairly resilient through some tough economic cycles.